On June 18th, Tina, Claire and me took the train to Verona. It was not started with a good beginning as the schedule board in the train station deceived us. I still remember the details: we arrived at Venezia train station at 10.30, the board stated the train to Verona will depart from platform 13 at 10.50, we entered the train at 10.45, the train stood still until 11, I stepped down to check the schedule and found that the 10.50 schedule was no longer at the board, that we should have taken the train to Milano (it would pass Verona) which departed from platform 11 at 11.05 right in front of my eyes… the next train to Verona was the one at 12.09 and it was a regionale train, meaning it stopped at every single station. I feel so guilty for Gina, who had taken the right train from Padova and we should have met her at Verona at 1… we arrived at 2.15 instead. 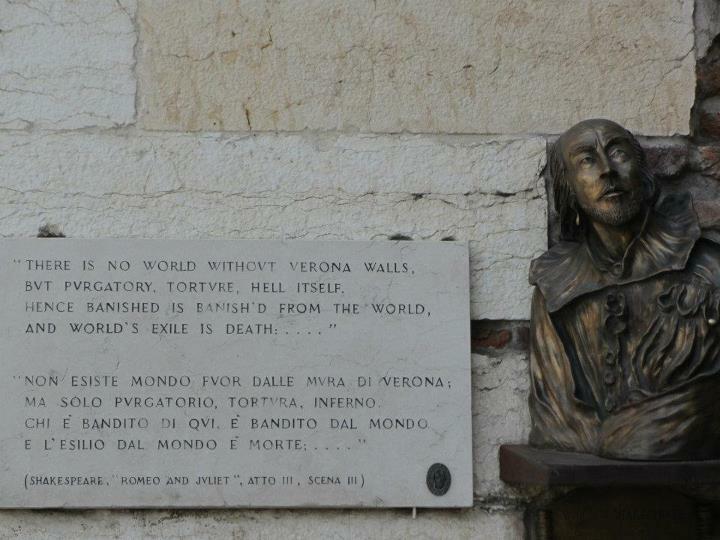 Verona is a small city with many Roman ruins but alas, it is more well-known for pseudo-Romeo and Juliet stuffs. Some might say the Veronese are commodifying Shakespeare’s play, but I say they’re just smart to brand and market the city. Everyday, tourists (including us) flock to ‘Casa di Giuletta’, a medieval residence building that has been the property of the Dal Cappello family since the 13th century. 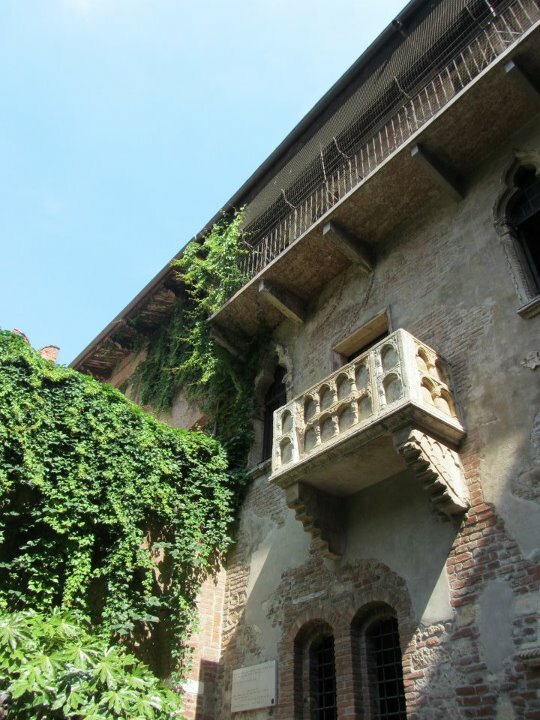 Verona claims Dal Capello to be the inspiration for Juliet’s family name, Capulet. The municipality of Verona sponsored the restoration of the house in late 1930s, early 1970s, late 1990s, and in 2004. 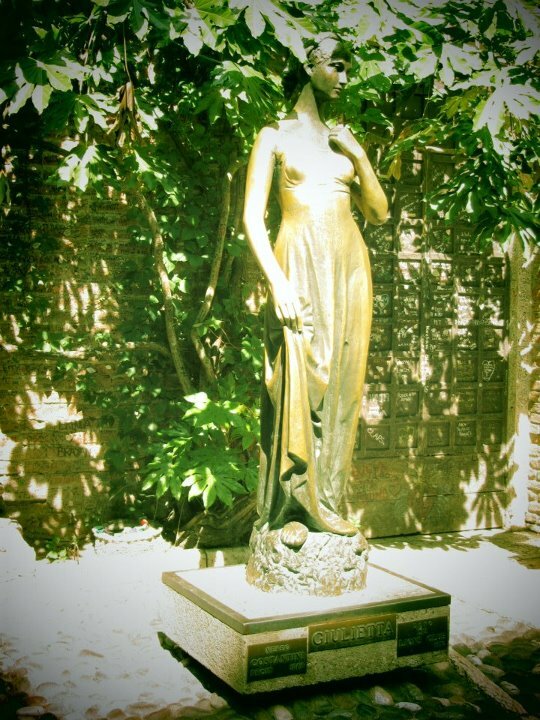 In 1972 a statue of Juliet by Nereo Constantini was added. I have no idea why it is constantly harassed by visitors — I saw most people who took picture with the sad statue grabbed her on the breasts. 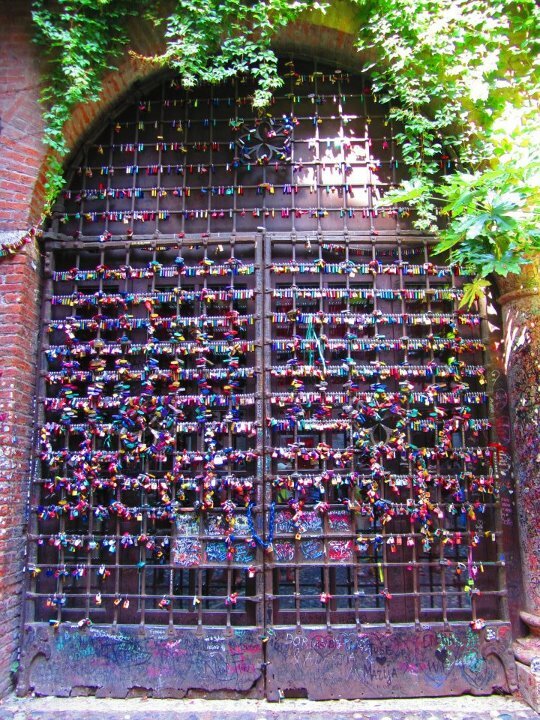 In the courtyard, there’s also a gate with ‘locks of love’, those padlocks put by lovers wishing to keep their love eternal. Hopeless romantics. 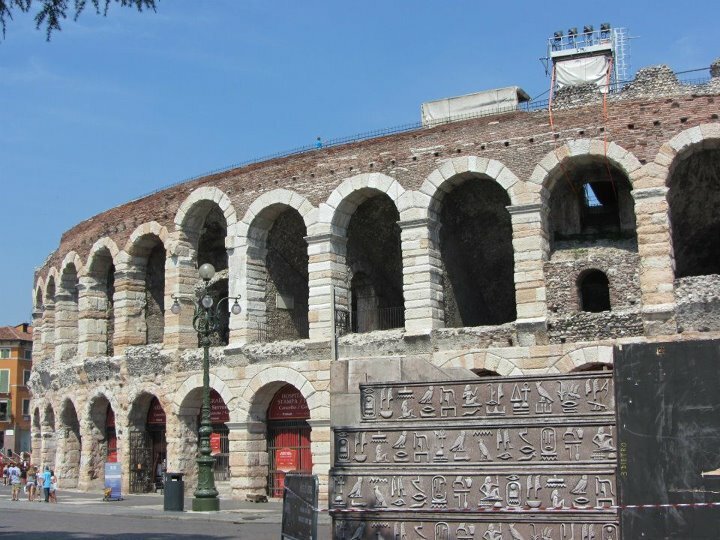 Aside from Romeo and Juliet hype, Verona Arena is the biggest open-air opera in the world and it is a shame we could not come at the date when the new season began. I don’t really understand opera but I think it will be interesting to see one in a magnificent setting like the amphitheatre. When we passed the arena, there seemed to be some preparations for the drama Aida (at least that’s what I concluded from seeing the set with hieroglyph). After some more hours of strolls in the town, Gina, Tina, and Claire went to Firenze, while I travelled solo to Milano. Arrivederci!